Looking for something to do this weekend? SUPPORT THE LOCAL SCENE! Meet Rakia: the best friend you’ve never met. You know that Surface2Art BlockpARTy I posted about recently? (Like, yesterday?) You know that Distilling Company I was jabbering about as the venue? Dorcol Distilling Company makes Rakia. Hence the connection. “Maven, why is this so important?” you may ask. I’ll tell you!!! 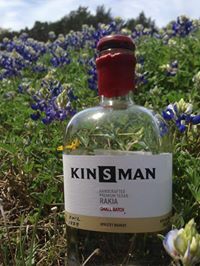 Aside from being a departure from your typical vodka-soda and Lone Star fare of your early 20s, Rakia carries with the process some tradition. Who can say no to drinking a lil bit o’ history? !